Tata silently killed the Aria MPV, making way for their newest SUV, Hexa. 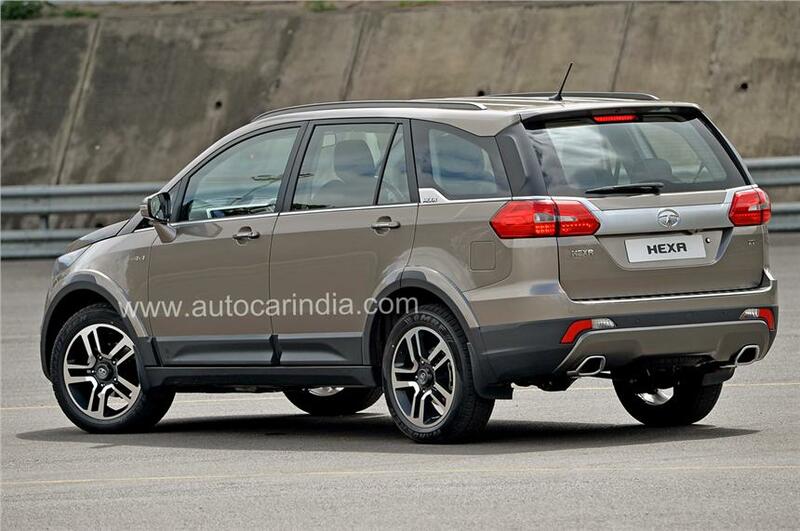 The Hexa, for one, looks like a SUV unlike the Aria, though both are based on the same platform and are crossover’s. On the exterior front, the chiseled hood with the swept back headlamps and DRL’s make Hexa look different from the competition. It is covered in cladding across the side profile and has clean lines along the doors. The rear features a completely new tail with hexagonal lamps and minimal badging. The Hexa will feature the same 2.2-liter VariCOR engine from the updated Safari Storme, but will be tuned to produce 154 bhp and 400 Nm of maximum torque, with a shift-on-the-fly 4WD system to be offered as an option. Transmission options will include the obvious 5-speed manual and an all-new 6-speed automatic, which has been developed by GMPT (General Motors Powertrain). VariCOR is the same as Dicor 2.2 VTT, which stood for Direct injection common rail 2.2 with variable turbine technology. The engine is the same 2.2 Varicor VTT. 2.2 diesel with variable geometry turbo which is essentially same as VTT. The only change that has been made is the ECU mapping tuned for better fuel efficiency and better power delivery, reducing the turbo lag. The biggest difference on the interior is the immediate upmarket feel of the dash with a touchscreen, leather upholstery, piano black and brushed golden inserts, along with Tata’s new multi-function steering wheel. The new HARMAN infotainment system features a SD card reader and allows smartphone/iPod connectivity. Apart from that, it also acts a command center for various vehicle functions and features like mood lighting, climate control etc. The screen doubles up to display the feed from the reversing camera which is a welcome change fromTata Motors. The second row has two individual seats with hand rest and storage options, AC vents on the second row with large roomy windows. The third-row seats fold in 50:50 ratio giving a huge boot. 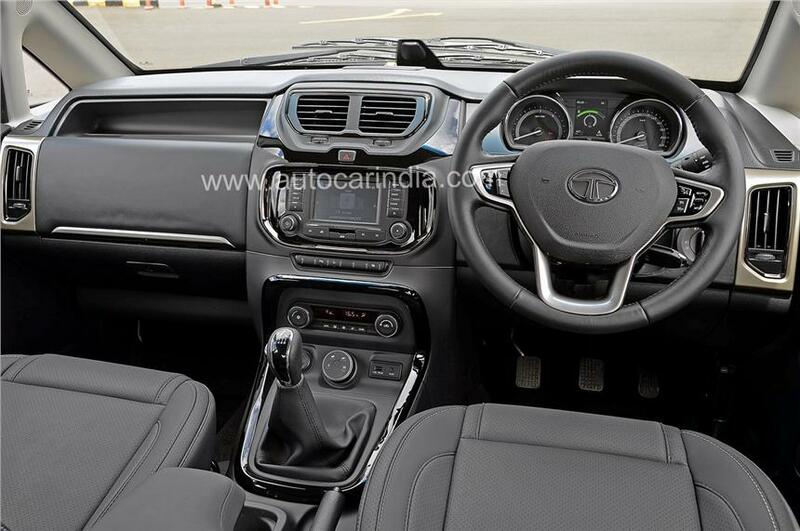 The Tata Hexa is expected to be launched early next year with a price tag of 13-18 lakh rupees. Video of the Day : A CCX scares the hell out of a woman!